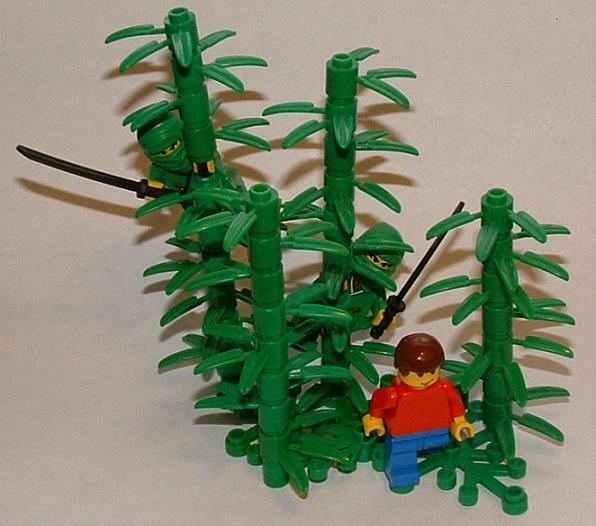 In this scene the famously oblivious Joe Vig strolls through a bamboo forest. Will he escape alive? Of course, he’s Joe Vig! One item to note is the complete lack of bricks and plates in this vignette. Now that was fun! BTW: who started joe vig? Wow! The ninjas blend in so well!